The last family-owned luxury hotel in London, the Goring enjoys great transport links around London and maintains impeccable service and beautiful decor. The Garden Room enjoys direct access to the private garden and is ideally suited for a reception and dinner. If coming by tube, the nearest underground station to the venue is Victoria Station, which is a two minute walk if you leave the Victoria Street exit. Leave the exit and cross Buckingham Palace Street onto Grosvenor Place. Turn right into Beeston Street at the top of Grosvenor Gardens. 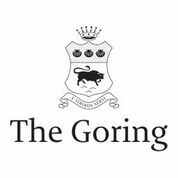 The Goring is on your right halfway down Beeston Street. If coming by taxi, you can only enter Beeston Place from Lower Grosvenor Place next to Buckingham Palace.